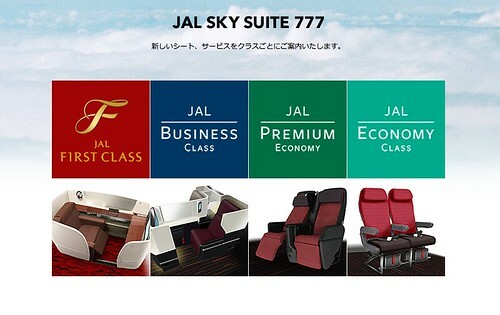 Last month JAL announced plans to upgrade their in-flight product when they start taking delivery of the Boeing 777-300ERs that they have on order (the new planes are scheduled to go into service early next year). This morning they went live with a new micro-site that offers detailed images. There’s even JAL Kitchen Gallery dedicated to their updated international food service. The website is mostly in Japanese but there are lots of great photos. Go here to check it out. @ JPS – You’re right, they’re Business Class seat is almost a mini-suite. I like the large video screen too. Very cool how designed it for access via a small entrance – total privacy along the sides and in the middle! very interesting take on design. Do you know routing for this new product? Any chance for NRT-JFK route? That would be lovely. @ PedroNY – That’s a good question, and so far JAL hasn’t mentioned the NRT-JFK. It’s a high value market so my guess is that it will be one of the first markets to get it. Thanks for reading and thanks for the comment!